I wish I could say I was blogging from Florida today but our plans changed abruptly when the hubs threw out his back! The good news is he is getting better and I'll have some extra time to clean this hot mess of a house and organize every closet (nesting is in full force). Linking up with Christina, Darci, April, Natasha and Amanda! I stumbled across this link yesterday and I cannot recommend it enough for fellow mamas and even those planning to start a family soon. She talks about what to expect from your body, your marriage, your home, and life in general after baby arrives. It was uplifting and provided perspective, plus I think she was talking about me with the popcorn and Icee in Target. Absolutely loved this sandwich for lunch this week so I had to share! I made it like I would any other grilled cheese but with sourdough bread. It was basically the size of my face... no shame here. Don't call the prego police, the brie was pasteurized and is safe once you cook it up! I've been loving my new iPhone but have been super terrified I would drop it. If you're in the market for a new case, this one is a great silicone material and you can still see the pretty color of your phone! You know I love anything festive, so I was super excited to join some lovely blogger friends (Lisa, Katie, and Annie) to co-host a holiday link-up series! 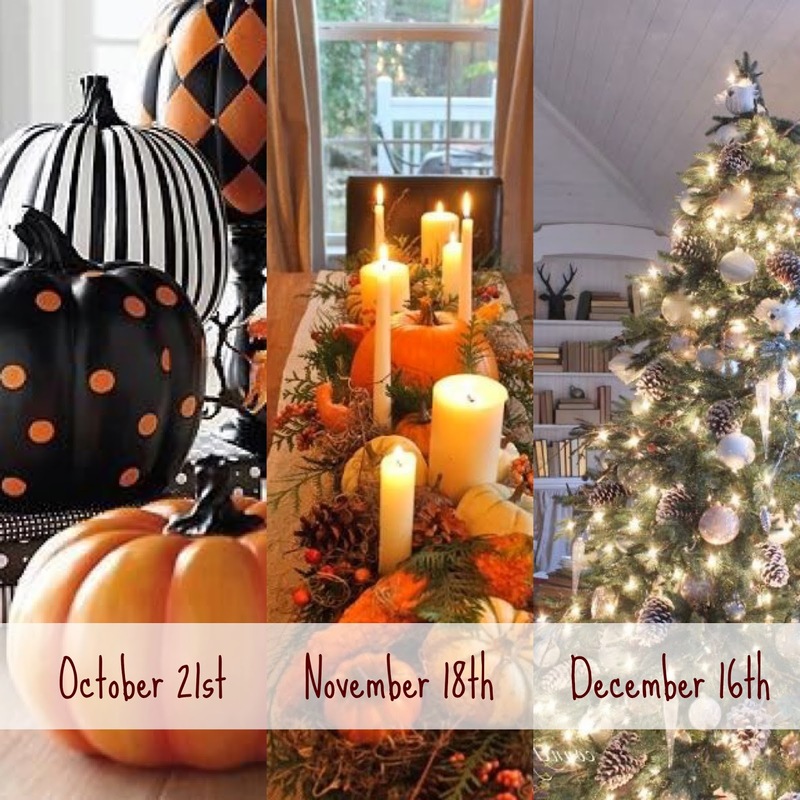 You can post about pretty much anything Halloween, Thanksgiving, and Christmas-related on the third Tuesday of each month! Feel free to share a favorite festive recipe, gift ideas, holiday outfit, decor, etc. Can't wait to see what festive ideas y'all come up with! That's all I've got today, stay tuned Monday for a little giveaway for the mamas or anyone looking for some baby shower gift ideas! I hope you all have a fabulous and gorgeous Fall weekend! 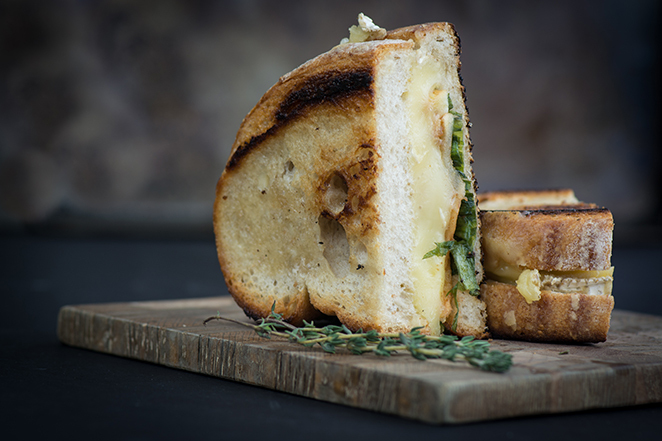 Ohh that grilled brie and pear sandwich sounds amazing! I LOVE brie! And that iPhone case is so cute. Too bad I still have the 5 LOL! Happy Friday! That holiday link up sounds like fun - thanks for sharing! Happy Friday! I've just recently become a brie fan so that sandwich sounds amazing!! Excited for your new link-up - such a great idea! Looking forward to your Linkup series!! Great idea!! :) Enjoy your weekend!! Excited for the linkup! And that sandwich looks absolutely amazing! Hope your husband feels better soon! Have a great weekend! I love the idea of a holiday link up - it's definitely going on my little blogging calendar!! Thanks for sharing. That sandwich on sourdough also sounds AMAZING!! Happy Friday! That sandwich looks amazing!! I'm glad y'all stayed this weekend! Can't wait for the link up! Sorry your trip is postponed! But yay for some relaxing time and productive time at the house:) so excited for y'all's linkup, so fun!! That sandwich - yum!! Excited for the linkup! OMG Grilled Brie and Apple Sandwich! It's calling my name. So excited for the link-up party and I need to try a brie and apple sandwich. I'm brie obsessed and that looks so delicious. I need that sandwich in my life asap! And y'all's link up sounds super fun! Thanks for linking up girl! Hope you had a great weekend!